Astonishing Kids And Families With The Fun of Broadway-Like Plays and A Lot More! 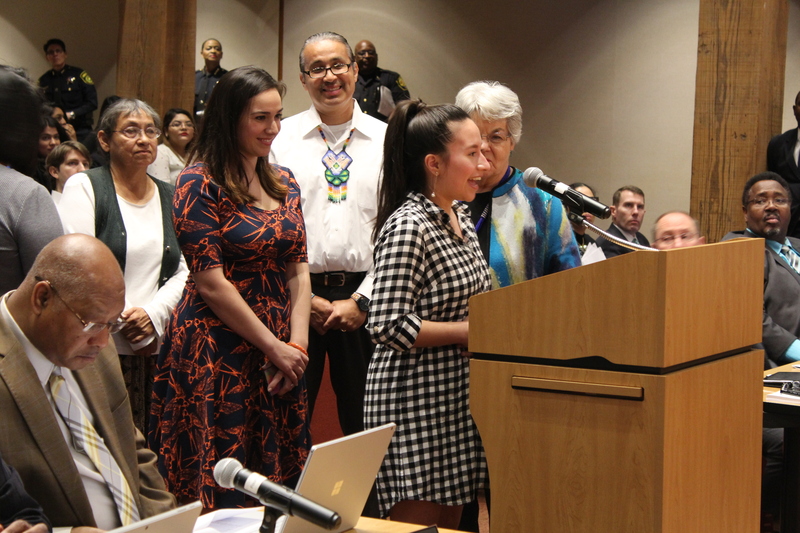 Front Row (left to right): Robyn Flatt (DCT Executive Artistic Director), Evelio Flores (Director of Mitotiliztli Yaoyollohtli Danza Azteca) and his grandmother; Jennifer Reyna (cast roles: Yana Wana / Ancestor), Tiffany DeSena (cast roles: Consuelo / Ancestor), Linda Cantu (Cara Mía Theatre Co. board president), and Daniel Casillas (Cara Mía Theatre Co. board member). Back Row (Dallas County Commissioners)(left to right): Dr. Theresa Daniel (District 1), Mike Cantrell (District 2), Clay Jenkins (Dallas County Judge), John Wiley Price (District 3), and Dr. Elba Garcia (District 4). 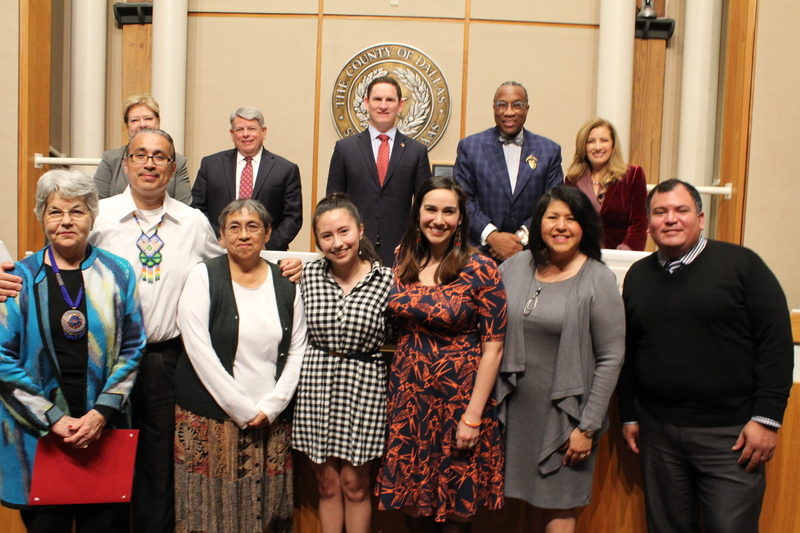 This week, the Dallas County Commissioners Court gave special public recognition to co-producers Dallas Children’s Theater and Cara Mía Theatre Company for creating YANA WANA’S LEGEND OF THE BLUEBONNET. This landmark play puts front and center the contributions and legacy of the Coahuiltecans who originated in Texas more than 14,000 years ago. 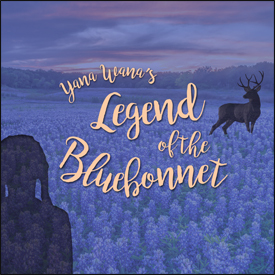 Presented March 20, 2018 starting at 9 a.m.
Dallas Children’s Theater and Cara Mía Theatre Company, co-producers of Yana Wana’s Legend of the Bluebonnet, encourage all citizens to focus on the key message of the Coahuiltecan’s Legend of the Bluebonnet – Identity. Responsibility. Community. 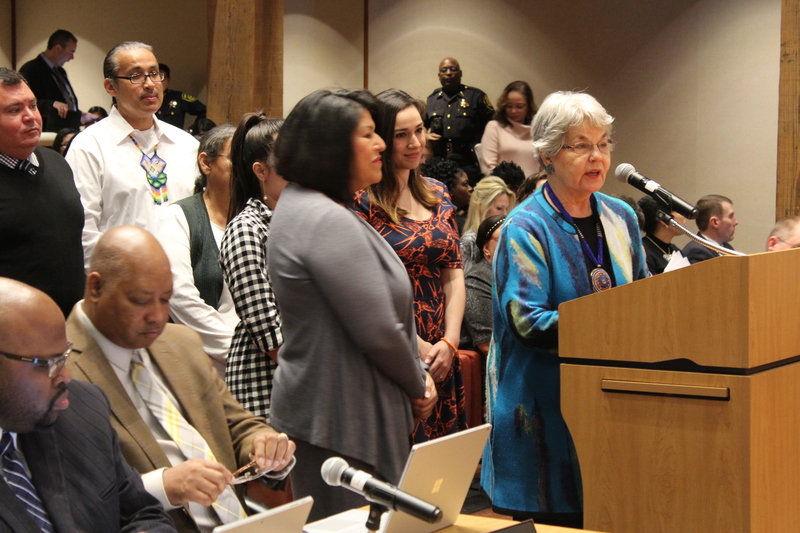 Now, therefore, I, Dr. Elba Garcia, County Commissioner of Dallas County, and on behalf of the Dallas County Commissioners, do hereby proclaim March 23, 2018* as Yana Wana’s Legend of the Bluebonnet Day in Dallas County, Texas. Wonder who might have discovered the first bluebonnets in Texas? Don’t miss this world premiere! Ten-year-old María is having trouble in school, so her mom sends her to stay with her Coahuiltecan grandmother in distant Laredo for discipline and perspective. There, María is told an ancient story of young Yana Wana who followed a revered deer to find water to save her people. Yana Wana’s story exposes an amazing and unknown ancestral connection to the bluebonnet that gives María a renewed sense of self and family pride. You may have read one version in school; now we invite you to come see the legend through the eyes of Yana Wana in this world premiere. 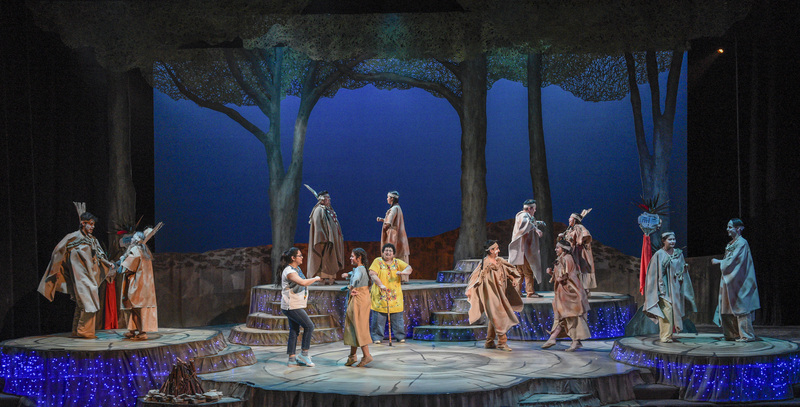 A beautiful, original play that illustrates the power of heritage and the value of one’s own story – especially one as ancient as the petroglyphs of Texas. To purchase tickets and obtain additional information about the show, visit dct.org, or call the Box Office at 214-740-0051. Today is World Water Day, and our production of YANA WANA’S LEGEND OF THE BLUEBONNET highlights water in a unique way. Stop jiggling, start fixing. That’s one of the taglines from the City of Dallas officials in their efforts to promote water preservation. This phrase is referring to a toilet handle, and its annoying owners that suggest that just “jiggling the handle” when the water won’t stop running is the solution. As we take a moment to think about the importance of water in our lives today, I am thinking about all the things I am learning about the historic significance of water through DCT’s upcoming production of YANA WANA’S LEGEND OF THE BLUEBONNET. We have interviewed so many of the artistic staff of the production, and they have talked about how the story expresses the importance of ritual and ceremony, and the many seeds, both literally and figuratively, planted by our ancestors. The story that Maria’s Abuela shares with her is about her roots as a Coahuiltecan, which is an indigenous band of tribes that dwelled in what is now the border between Mexico and the United States thousands of years ago. The story also reminds me of how vital water remains to all of us through the ages. The story of this tribe involves a deer, as many indigenous peoples have a representative deer in their lineage. 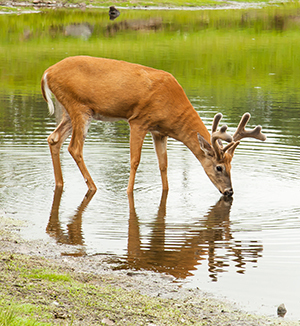 The deer leads a family member to the sacred water resource because her people, the Coahuiltecans, have run out of water, and in turn are running out of food. 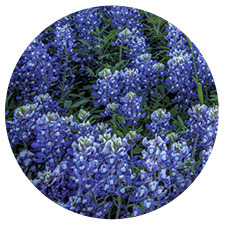 The discovery of water turns out to be directly connected to the discovery of the bluebonnet. After hearing from our scenic designer, I cannot wait to see how the bluebonnets magically appear on the stage, as instructed in the script. It will be breathtaking. The world decided that water is important enough to dedicate a whole day to it. When we have it, we often take it for granted. When we don’t have it, we understand just how important it is. The land once occupied by the Coahuiltecans is referred to as the colonias (Spanish for neighborhood), which is the area on both sides of the border. The residents of this land are still dealing with the centuries-old issue of clean water, as this area lacks basic sewage and water services. 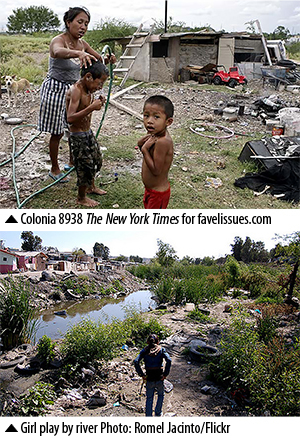 These colonias are low-cost plots of land, with 90% being in Texas, on which many Mexican immigrants have settled in search of the American dream, only to find that they are outside city limits and without essentials for survival. For example, there are hundreds of thousands of residents living on this land trying everything from building wells to connecting to nearby subdivisions to pleading with local officials just to gain access to clean water. 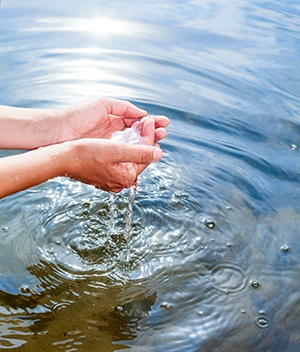 The need for water connects us through the centuries. It’s something every human needs, regardless of their ancestry, and it’s something we share with every living thing. YANA WANA’S LEGEND OF THE BLUEBONNETS celebrates nature and water with reverence. The theme the United Nations set for 2018 World Water Day is “The Answer is Nature.” It’s a day to learn about how we can use our resources responsibly and learn from what nature has already provided. In this way it seems like we are not that different from ancient indigenous cultures that relied on the elements of water, fire, air and earth to guide them. 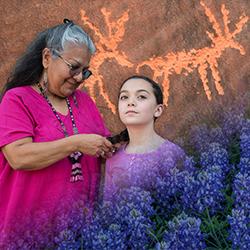 DCT’s YANA WANA’S LEGEND OF THE BLUEBONNET, co-produced with Cara Mía Theatre Co., is going to be unlike anything our audiences have experienced. When asked what they hoped the audience would gain from the production, the unanimous answer from the artistic staff had to do with being united, and connecting with each other. Clearly, water is one of those precious resources that binds generations, races and species. Celebrate World Water Day, and then come watch the sacredness of water brought to life through theater. We hope it will inspire you to think about water preservation and your responsibility to your neighbor in a whole new way. There are only a few options to see this production, so pick a date and time from the list below and get your tickets today. to find water to save her people. Yana Wana’s story exposes an amazing and unknown ancestral connection to the bluebonnet that gives María a renewed sense of self and family pride. You may have read one version in school; now we invite you to come see the legend through the eyes of Yana Wana in this world premiere. 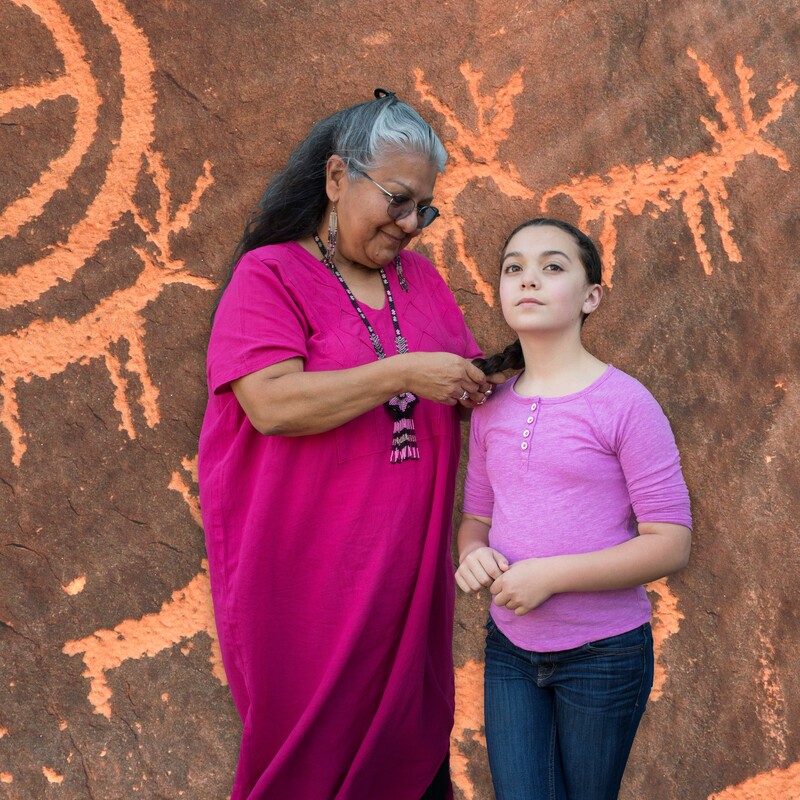 A beautiful, original play that illustrates the power of heritage and the value of one’s own story – especially one as ancient as the petroglyphs of Texas. Written by Sherry Ward. Sherry is a mother, actor, and writer based in Dallas, TX. If you would like to use one of DCT’s Assistive Listening Devices during the show, or ifyou have your own device thatyou would like to plug into DCT’s system, please make every effort to visit the Box Office at least 30 minutes in advance before the show. If you need accessible seating (wheelchair seating, visual impaired, etc. ), please enter the information in the notes section of your order and/or call 214-740-0051. Please call if performance time is within the next three days. Thank you. 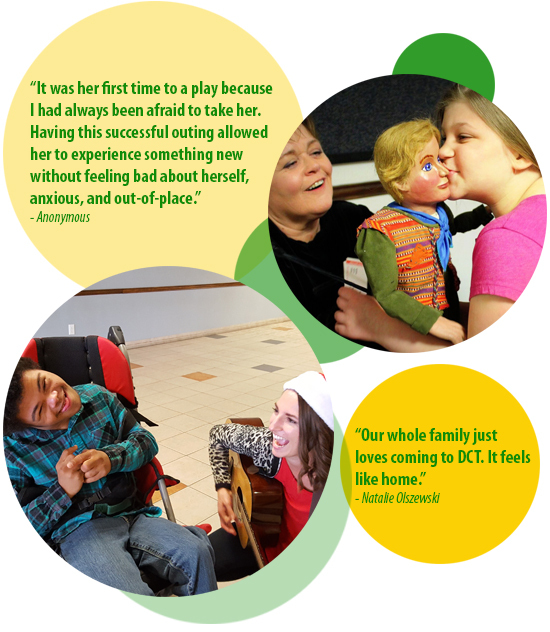 All children and families are welcome at DCT! Just ask our sensory-friendly families! Drama helps children with autism and other developmental disabilities build social interaction skills and become more self-aware. 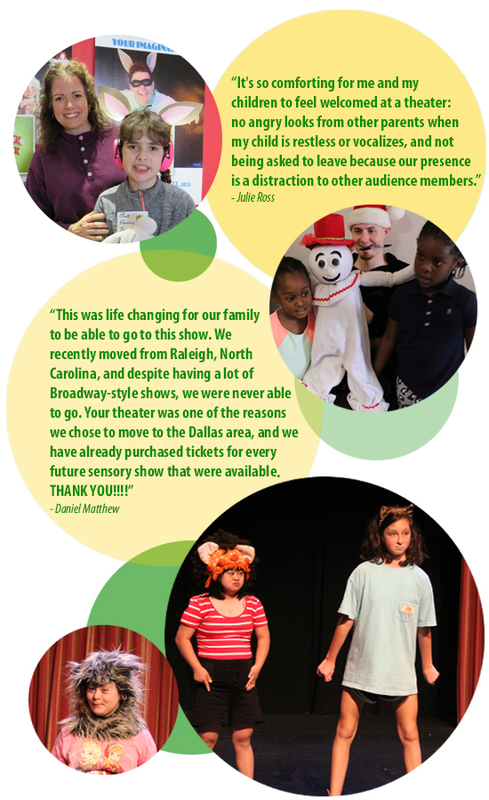 Dallas Children’s Theater welcomes children with developmental disabilities and their families! Our sensory-friendly performances and classes are designed to be easy on the senses and meet children and families where they are. Our sensory-friendly performances feature house lights up slightly and sound down slightly. Repetitive flashing lights are eliminated. 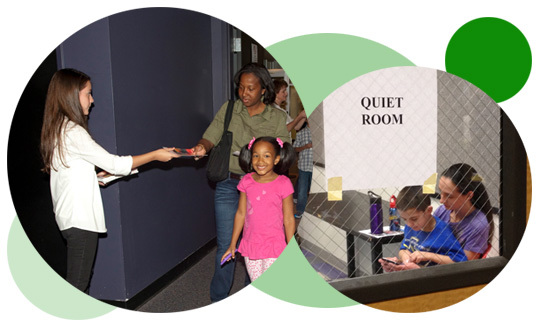 We offer social stories, quiet rooms, and helpers trained to understand children with sensory sensitivities. 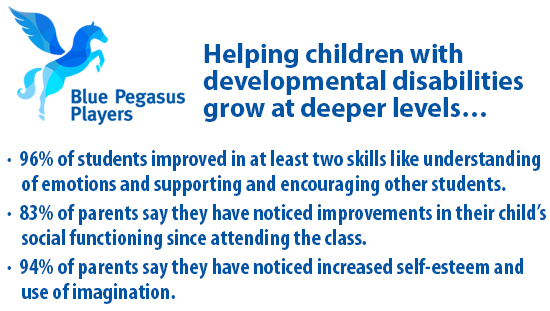 Blue Pegasus Players classes are tailored for children with developmental disabilities and sensory needs. Offered throughout the year, the sessions help students better identify emotions, support one another, and take initiative. 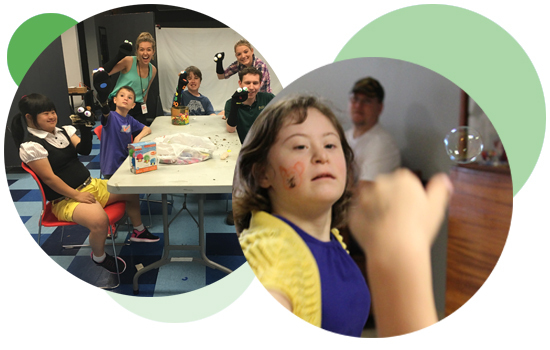 Some classes feature opportunities for typically developing children to support, make friends with, and learn from children with developmental disabilities. Making the magic of live theater available to all! 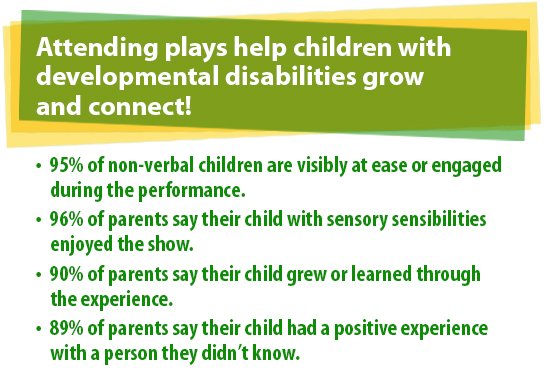 Learn more about sensory-friendly shows here. Learn more about sensory-friendly classes here. The bluebonnet is our state flower. 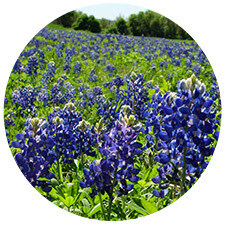 In 1901, the Texas Legislature named the bluebonnet, a legume, the state flower. Many say it got its name because it resembles a sunbonnet. It’s also been called buffalo clover, wolf flower and el conejo, or rabbit in Spanish. 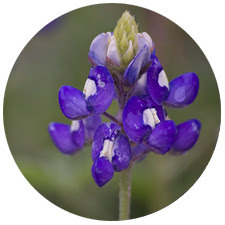 Five species of bluebonnet grow in Texas: Lupinus subcarnosus, L. havardii, L. concinnus, L. perennis, and L. plattensis. Bluebonnets help to beautify the roads. In 1932, the department hired Jac Gubbels, its first landscape architect, to maintain, preserve and encourage wildflowers and other native plants along rights of way. 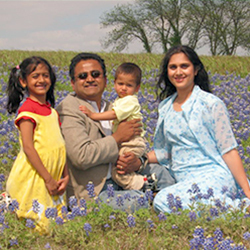 We create family memories in the bluebonnet fields. Snapping pictures of the family in a field of bluebonnets: It’s an iconic springtime image in Texas. And Texans have done it for generations. We sing songs about bluebonnets. Did you know Texas has a state flower song? It’s “Bluebonnets.” In 1933, the Texas Legislature adopted the song, which was written by Laura D. Booth and Lora C. Crockett. Some lyrics: When the pastures are green in the springtime, And the birds are singing their sonnets, You may look to the hills and the valleys, And they’re covered with lovely bluebonnets. In North Texas, Ennis is Bluebonnet Central. 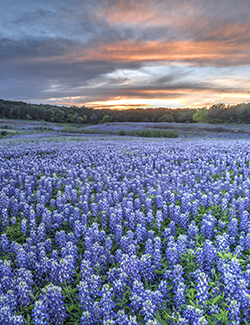 In 1997, the Texas Legislature named Ennis the Texas Bluebonnet Trail and the official bluebonnet city of Texas. Every April, up to 100,000 people flock to the Ellis County town. First photo by: Joe Jungmann via Creative Commons. Third photo by: Steve Harbula via Creative Commons. Fourth photo by: David via Creative Commons. Second, fifth, and sixth photos via istockphoto. What do Bluebonnets mean to Texas? 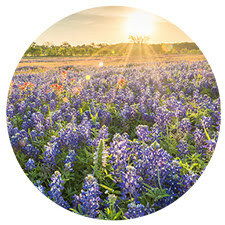 Celebrate World Wildlife Day as Dallas Children’s Theater and Cara Mía Theatre Co. prepare to share the history of Texas bluebonnets and the state’s first inhabitants! Today, March 3, is World Wildlife Day, so I thought it would be a good time to talk about our upcoming production of YANA WANA’S LEGEND OF THE BLUEBONNET. 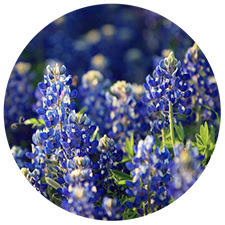 Of course the obvious connection is that the bluebonnet is the Texas state flower which grows wild in fields and along freeways during the spring. They are protected in that you aren’t supposed to pick them, although I’m sure there have been a few lost to Texas toddlers having their photos taken in the midst of them. But there’s a deeper relevance to this day and the bluebonnet worth your knowing about. Each year the UN chooses a theme for World Wildlife Day. The UN Secretary-General António Guterres says this day is a time to focus on the role the planet’s animals and plant life play in our cultures and the sustainability of our societies. 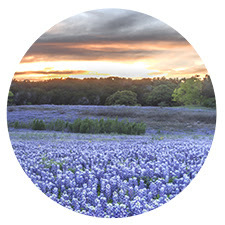 In our upcoming production, you will definitely have a better appreciation for the connection between the bluebonnet and the first people of Texas. We’re proud to be making history with our world premiere production that both celebrates the Coahuiltecans (kwah-wheel-tek-kuhns) – the first people to originate in Texas 14,000 years ago – and introduces to everyone their contribution to our history, their relationship to the plants and animals that roamed our grounds, and their impact on our current existence. In addition to these reasons for seeing YANA WANA’S LEGEND OF THE BLUEBONNET, I think we’d all agree that pre-teens are their own form of wildlife. As a mom with my own burgeoning set of teens, I feel comfortable saying that. In our show, ten-year-old Maria is taken out of her normal habitat (which includes having a screen in her hand 24/7) and is transported to her grandmother’s home in Laredo for discipline and perspective. There, away from the normal distractions, Maria eventually commits fully to a world in which wildlife is both sacred and essential to living. In doing so, she learns of her unknown ancestral connection to the bluebonnet. It is a beautiful tale that illustrates the power of ancestry, the value of one’s own story and the importance of precious natural resources such as water, and yes, bluebonnets. As a non-Texas native, the bluebonnet was new to me, and I was amazed by how Texans still revere the beautiful spring bloom. But the more I’ve learned about the bluebonnet and its significance to the original people of Texas, the more I wish I had spent the time other parents invest in permanently capturing the young kids amid a full field of bluebonnets. There really isn’t anything quite as beautiful as the purplish little towers that blossom so perfectly. They’re unlike any flower I’ve ever seen. It is fitting that they are so significant in Texas, today, and in our history. ways, we’re just willing to bet that you’ll walk away with a newfound appreciation of water, bluebonnets, your ancestors and a whole lot more. Written by Sherry Ward. 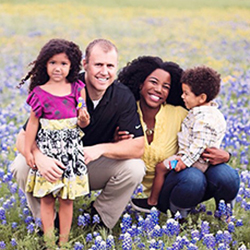 Sherry is a mother, actor, and writer based in D-FW. YANA WANA’S LEGEND OF THE BLUEBONNET runs March 23 – April 8. There are only a few public performances, so please don’t miss the opportunity to share this important part of our collective history with your family. First photo sourced from stock photography. The photos of the beautiful families posing among the bluebonnets were sourced from the following personal websites: lcahouston.com and cherish365.com. Final photo by Ulises Garcia. Karl Schaeffer on Celebrate DCT’s historical movie legends with Makin’ Movies On Demand!